Did you miss Dr. Philip Dubé's recent webinar, Advanced Toolkit for Syngeneic Tumor Modeling in Mice? His presentation introduced advanced concepts and critical considerations for studying immuno-oncology mechanisms and therapeutics in mice. Syngeneic models are becoming more advanced due to the availability of genetically engineered mouse models. This advanced toolkit makes it possible to study the many intricate mechanisms through which the immune system controls and eliminates tumors. Syngeneic models offer a powerful and flexible system for discovery and drug development. You can still watch the recorded webinar. Q: Can any C57BL/6 substrain be used for C57BL/6 tumor cell lines? Dr. Philip Dubé (PD): Yes, any C57BL/6-derived syngeneic cell line can be engrafted into any C57BL/6 substrain, but the characteristics of the different substrains as hosts should be taken into consideration based on specific research questions. It is important to understand that there is no single C57BL/6 mouse, but rather numerous different C57BL/6 substrains, each related but genetically distinct. The two main branches of these substrains are the C57BL/6J and the C57BL/6N substrains. There are a number of genetic differences between C57BL/6J and C57BL/6N substrains which lead to differences in immune function, metabolism, and neurobiology. However, despite this, all C57BL/6 substrains are very well matched with respect to major and minor histocompatibility loci, and transplantation of cells or tissues from any C57BL/6 substrain will be tolerated in any other C57BL/6 substrain. It should be noted that while different substrains may accept syngeneic cell lines, differences in immune function and other characteristics between substrains may affect immune responses to the tumor graft and responses to therapies. One major issue in the literature is that the exact source and C57BL/6 substrains used in studies is not properly indicated or recorded. Thus, it can be difficult to ascertain the true substrain background of various syngeneic cell lines from literature reports alone. In some cases, SNP testing can be used to verify the substrain background of syngeneic cell lines (see Figure 1). It should be noted that the reported, or assumed substrain background of syngeneic cell lines is not always accurate. Figure 1: SNP testing reveals substrain background of commonly-used C57BL/6 syngeneic cell lines. Summary of findings based on published data1. Q: What immune system differences between mice and humans might affect interpretation of syngeneic studies? PD: Mice are very good models to study immunology; a lot is known about the immune system in mice and there are many good, highly validated tools. However, there are a number of specific differences between the immune system of mice and humans. With respect to anatomical differences, for example, bronchus-associated lymphoid tissue is prominent in mice, whereas it is generally small or absent in adult humans. At the molecular level, mice and humans produce different repertoires of immunoglobins, and mice produce and secrete higher levels of secretory IgAs as compared to humans. There are additional differences within the innate immune system. Comprehensive reviews on this topic have been published2,3. It is important to be aware of these species-specific immunological differences. In many cases, these differences do not present a serious impediment for syngeneic studies. However, in the case of immunological pathways that are unique to humans and absent in mice (or vice versa), this can be an issue and these studies may benefit from a genetically-humanized syngeneic model in which human immune system signaling pathway is more faithfully recapitulated. Q: Can tumor-infiltrating lymphocytes be used for adoptive transfer in syngeneic models? PD: Tumor infiltrating lymphocytes (TILs) have been isolated from syngeneic grafts in mice and been used for adoptive transfer into other tumor-bearing mice4,5. Generally, these polyclonal TILs need to be expanded in vitro in the presence of IL-2 before adoptive transfer. Q: What is the biggest disadvantage of current syngeneic models and how can this be overcome? One big disadvantage is the limitation in the availability of validated and robust cell lines for syngeneic use (see this comprehensive listing of published syngeneic cell lines). Some cell lines, such as B16-F10 melanoma or MC38 colon carcinoma, have been instrumental in the development of novel therapies. However, there are many types of tumors for which there are no good cell lines for syngeneic use, and the current cell lines represent merely a very narrow spectrum of the many subtypes of cancer that exist in patients. A renewed and concerted effort to develop and characterize spontaneous, induced, and genetically-modified syngeneic cell lines would benefit the research community. 1. Didion JP, Buus RJ, Naghashfar Z, Threadgill DW, Morse HC 3rd, de Villena FP. SNP array profiling of mouse cell lines identifies their strains of origin and reveals cross-contamination and widespread aneuploidy. BMC Genomics. 2014 Oct 3;15:847. 2. Haley PJ. Species differences in the structure and function of the immune system. Toxicology. 2003 Jun 3;188(1):49-71. 3. Mestas J, Hughes CC. 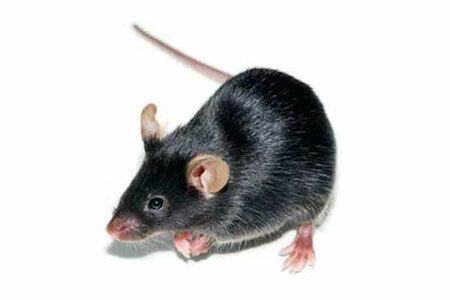 Of mice and not men: differences between mouse and human immunology. J Immunol. 2004 Mar 1;172(5):2731-8. 4. Rosenberg SA, Spiess P, Lafreniere R. A new approach to the adoptive immunotherapy of cancer with tumor-infiltrating lymphocytes. Science. 1986 Sep 19;233(4770):1318-21. 5. Kodumudi KN, Siegel J, Weber AM, Scott E, Sarnaik AA, Pilon-Thomas S. Immune Checkpoint Blockade to Improve Tumor Infiltrating Lymphocytes for Adoptive Cell Therapy. PLoS One. 2016 Apr 6;11(4):e0153053.